Despite the best efforts of my elementary-school science teachers, the world of biology only really opened up for me as I thrilled to the exploits of Arthur Kennedy, Raquel Welch, and Donald Pleasance as they were shrunk to microbe size and sent into the bloodstream of a wounded scientist to effect a cure. Nothing brought home the battles fought by our bodies’ antibodies as did the skirmishes in the 1966 science fiction movie Fantastic Voyage – nothing, that is, until the book The Hidden Half of Nature, The Microbial Roots Of Life And Health (W.W. Norton & Co., New York, NY 2016) put it into a compelling story that moves between the biosphere without and the microbiota within. 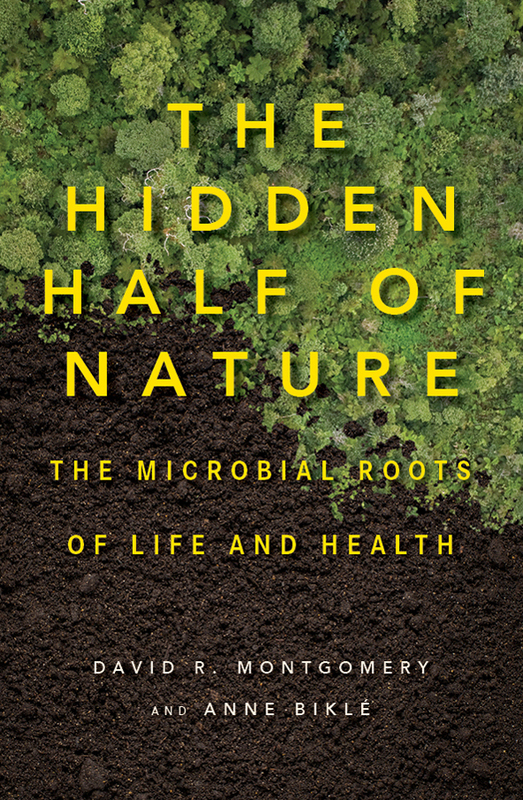 Authors David R. Montgomery and Anne Biklé have written a book that also sends you on a thrilling trip through the bloodstream – alongside voyages through the digestive tract (where the colon is the underslung hero), and the soil, and the earthworm … and through a succession of laboratories as researchers through the centuries uncover the intricacies of growth and disease. In their way, these travels are even more fantastic than anything that movie could imagine – and they’re a tough reminder that, as a culture, we’re ignoring the lessons they teach at our peril. Although we begin by looking at the garden that Biklé cultivates at their new Seattle home, we’re soon drawn into an examination of the exhausted soil below, soil that came to life as the couple began feeding it organic matter: wood chips, coffee grounds, a substance called zoo doo made available by the city’s Woodland Park Zoo. It’s all in service of the microbes. Microbes typically are about two microns in size, which, even when expressed as two thousandths of a millimeter, barely helps it become comprehensible. And certainly not naked-eye visible. Microbial life began about 3.6 billion years ago, when they had the Earth to themselves, and have evolved and co-evolved into a nuisance and a necessity. Although, as Montgomery and Biklé take admirable pains to explain, they’re even more of a nuisance when we don’t treat the good ones well. To say we’re surrounded by them puts it mildly. There are some 1030 microbes on Earth – that’s a nonillion of them – and they’re everywhere, including deep within us. They’re incredibly adaptable, surviving in the most oppressive environments, and they reproduce so quickly, stealing any desirable genetic material along the way, that they can endure onslaughts of drought and attacks by antibiotics. Microbes fall into five types, including bacteria, fungi, and viruses, and The Hidden Half of Nature assumes that we grew up learning to vilify such things. But the consequence of our germ-free lives has been a cycle of disruption that ultimately takes its toll on our health, which is itself maintained through a microbes-driven balancing act. Each facet of the microbial world is introduced with the easygoing charm of a good storyteller; before you know it, you’re being drawn into the science and history of that facet. So it is that we meet such important figures as Antonie van Leeuwenhoek, the 17th-century Dutch draper who grew so obsessive about grinding lenses to inspect his merchandise that he developed a microscope powerful enough to show him the otherwise invisible microbes in a drop of pond water. Which invites the leap to the mid-19th century, when Louis Pasteur discovered the role of microbes in yeast fermentation, and would carry that into world-changing innovations in disease resistence. Others include Carl Woese, whose research into bacterial DNA in the 1970s led him to isolate 16S rRNA, the gene that makes ribosomes, which in turn build proteins. And that research led to a new system of classification of life forms, giving unicellular critters two categories of their own and relegating us multi-cellular folk to a part of but one domain. And Lynn Margulis, who tenaciously pursued research on her theory that the evolution of multi-cellular life was a result of bacterial symbiosis. The (male-dominated) scientific community mocked or ignored her; nevertheless, she persisted, and swept us beyond our Darwin-based views. Each of these studies added insight into the unseen world, and we follow them as they tie into plant growth, first through the work of 19th-century German chemist Justus von Liebig (considered the founder of organic chemistry) as he discredited the then-prevailing notion that plants took in carbon through the soil. He realized that it was gained through photosynthesis, and that such nutrients as nitrogen and phosphorus were coming from the earth. Then we meet the 20th-century biologist Sir Albert Howard, whose research in India laid the groundwork for an understanding of the vital importance of organic gardening, learning how to support a plant’s natural defense systems through the soil. Like a good thriller, the book cross cuts among these developing topics, soon sending us into our own viscera, to learn the tripartite nature of the digestive tract and the startlingly complex work done by our resident microbes. In the end, it turns out that plant roots and our colon have much in common, but we’re unkind to them both. To some extent, we couldn’t help it. The bandwagon of progress is a sneaky vehicle. Munitions factories are also good for making fertilizer, so the chemical-fertilizer industry flourishes in battle-ready countries. Fertilizer brought a quick fix to farmers, whose growing reliance on such products has resulted in soil no longer able to offer plants traditional microbial support – and plants so corrupted by fertilizer that they haven’t the roots to accept it. 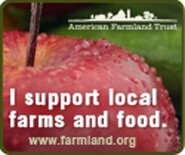 Several decades ago, William Albrecht, a University of Missouri emeritus professor of soils, said that soil was the nation’s most important resource, and tried to encourage farmers to treat their land with organic matter, not fertilizer. Albrecht’s message, write Montgomery and Biklé, that fertilizers were no substitute for healthy soil, and that soil-related nutrient deficiencies underlay many human health issues, did not go over well with an agronomic establishment striving to industrialize food production and bolster yields on degraded land. Scientific colleagues and agribusiness interests alike attacked Albrecht for straying beyond the bounds of his soil science training. And here we are, a nation in far poorer health than we were even a half-century ago, feeding ourselves food that has been processed to an unhealthy degree, or eating food grown in such poor soil that it’s devoid of micronutrients – copper, magnesium, iron, and zinc, which build enzymes and proteins. Magnesium is a required element for at least three hundred enzyme reactions, and inadequate levels have been implicated in ADHD, bipolar disorder, depression, and schizophrenia. In the end, it’s all about the food. “Pick a modest-sized plate,” the authors suggest, and make meals using vegetables, legumes, leafy greens, beans, fruits, and unmilled whole grains as the main ingredients. Add some meat if you want and dollops of healthy fats on the side or sprinkled through the plant foods. Desserts and sweets are special, so save them for special times. The Hidden Half of Nature offers a deceptively calm narrative, speaking with thoughtfulness and well-substantiated insight. Microbes are our friends, and we’ve been mistreating them. The way to change this is through diet – what goes on our plate should be taken into our hands, and by thus improving our own lives, we’ll improve the lives of others.